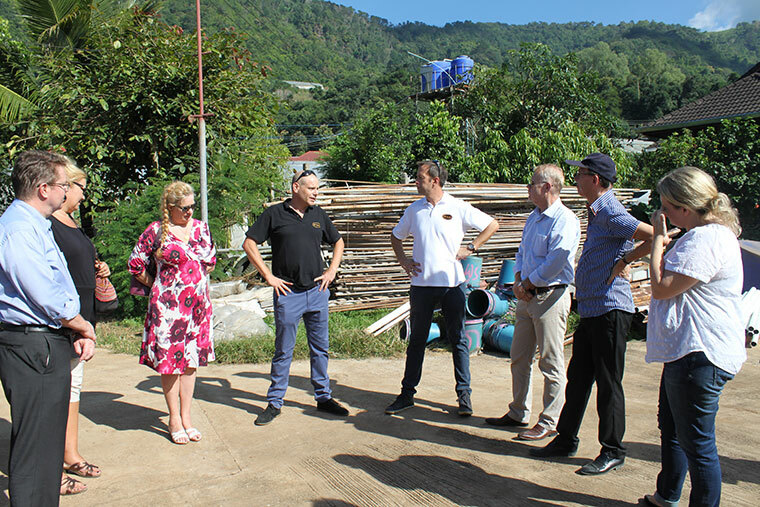 On Friday 6 November 2015 the NTCC (Netherlands Thai Chamber of Commerce) organized a company visit to the two agricultural companies East-West Seeds, and afterwards to the farm of Take Me Home Tomatoes (TMH). At 14:30 in the afternoon a delegation of 15 persons enjoyed a tour around the greenhouse project of TMH, where the group got introduced into the world of hydroponic tomato production. After a short visit at the warehouse of TMH in Chiang Mai, where their produce is washed, sorted, packed and shipped, the delegation continued their program to a networking event. This network event was held in conjunction with the French, British and German Chambers, as well as friends and members of the EABC (European Association of Business and Commerce).